Drawing should be mastered to create a master piece. Apart from using paints or sketches, Miguel Endra used 3 million dots to create a beautiful portrait of his dad. He has used only one Micro Pen for completing this portrait. Choosing dots to draw portrait is really hard and need more dedication. We don't know how many hours or days he has spent to complete this portrait, he certainly made his dad proud and proved his talent. 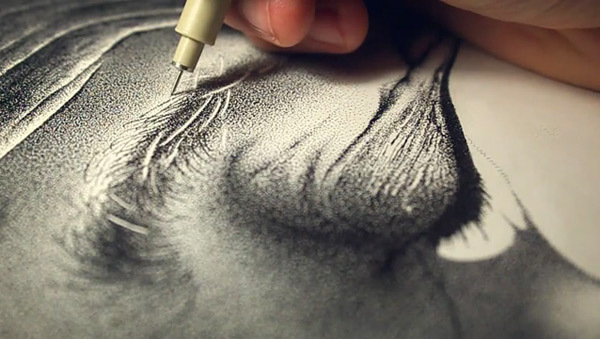 Check this video to see how he draws his dad portrait with dots.